More limited colorways of Steph Curry’s first signature shoe release this weekend, including the Under Armour Curry One ‘All American’. 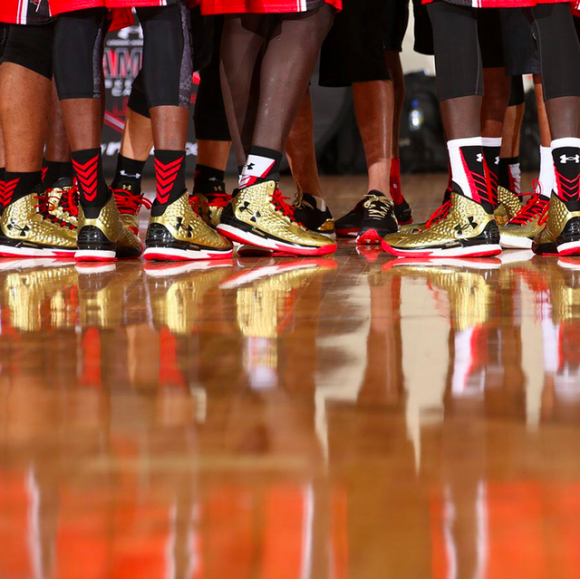 The shoe is a PE of sorts for the UA sponsored All American high school basketball game, gathering the country’s best prep players. The shoes are close to the jerseys with predominantly red and gold used on the sneaker. Black and white trim further complements these colors. The Curry One boasts Charged cushioning to absorb impact while providing responsiveness for a quick first step. Further, the AnaFoam upper delivers a snug fit, while still providing a lightweight structure. 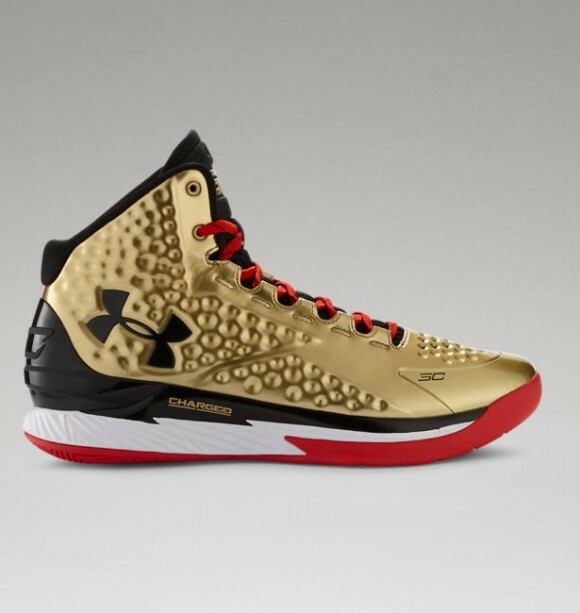 Refresh THIS LINK around 10am EST on July 11 to purchase the Under Armour Curry One ‘All American’. I don’t bout anyone else, but the link doesn’t work? YEAH, I WAS ON THE FREAKING WEBSITE AND I KEPT CLICKING SHOP NOW ON THE ALL-AMERICANS BUT IT BROUGHT ME TO THE SC30 SELECT CAMP COLOR WAY OVER AND OVER AGAIN TO WHERE BY THE TIME IT ACTUALLY WORKED AND I GOT THE THEM, THEY WERE SOLD OUT. LUCKILY, I LANDED THE SELECT CAMP LOS ON FINISH LINE AS I THOUGHT THEY WERE FLAMES AFTER SEEING THEM ON CURRY’S INSTAGRAM. STILL, THIS IS BS, BUT I’M HAPPY WITH THE LOWS TOO. Yeah these sold out in about 5 seconds. Hey nightwing, or any weartesters guy, would you happen to know where I could find the high top version of the clutchfit drive? I’ve looked everywhere, and I can’t even find them on eBay or amazon. I REALLY want a pair, but they seem to be impossible to find. Thought maybe you’d have some inside information.